Do you ever play that game where you walk around a city and try to pick out your favorite house? Money is no object (this is an important rule in Seattle), all you have to do is explore long enough to make sure you've check out every house and can make an educated decision. We play this game. We play while we drive, walk the dog, and go for our morning runs. 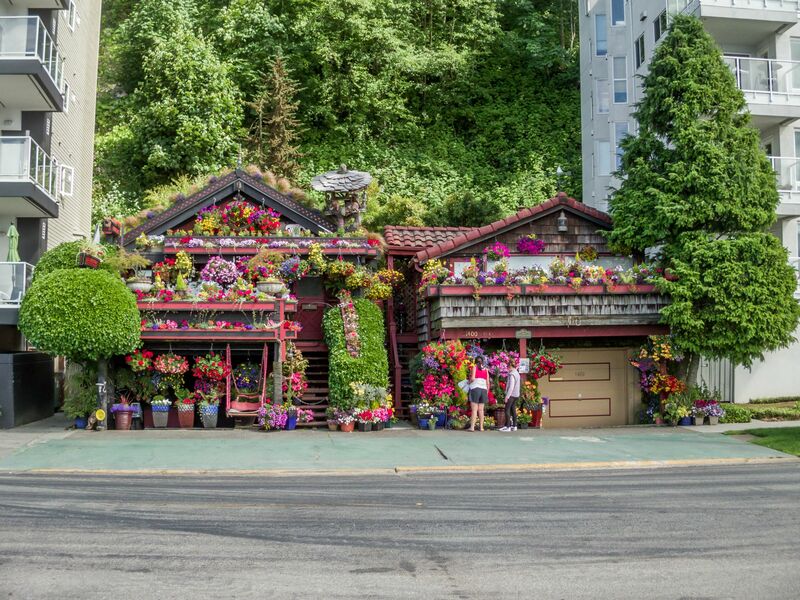 Seattle is full of beautiful homes, but we have a soft spot in our hearts for the truly unique. 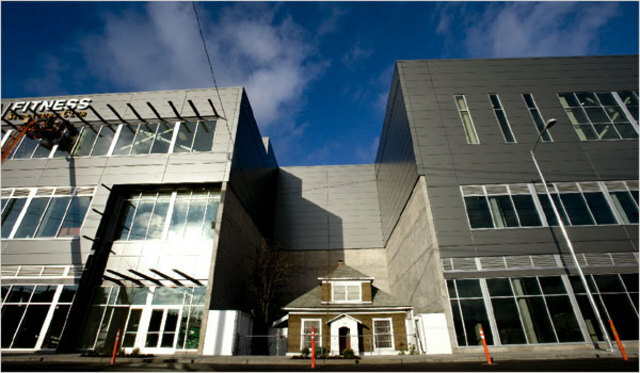 Lucky for us Seattle also has some homes that are literally like no others on earth! From May to October Alki Beach is home to our favorite house in Seattle. We aren't the only ones either, this house is loved by people around the world. Owner Randie Stone bought the houses in 1989 and has since spent countless hours and dollars maintaining her beautiful garden so that others can come and enjoy it. It is a sight for sore eyes nestled in between two glass and concrete condo complexes, and we always make a point to stop and take it all in when we are in West Seattle. This house has lovingly been dubbed the "Up House" because of its owner's refusal to leave her 1,050 square foot home to let it be demolished for commercial use. It is rumored Edith Macefield once turned down $750,000 to stay put. And why would she? Macefield moved into this home in 1952 and died in it in 2008. Since then various organizations have been trying to make sure it is kept safe from demolition. Right now it is sadly in a bit of limbo. No one seems to know what the fate of this little beacon of hope will be right now, so we encourage you to visit it while you can! This home sits in one of Seattle's most prestigious neighborhoods, Queen Anne. You could spend hours strolling the sidewalks looking at the homes here. 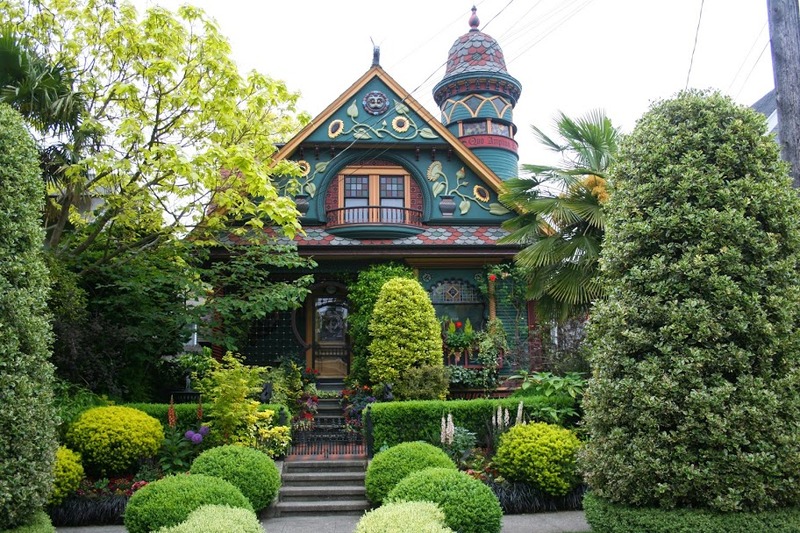 You would eventually stumble upon The Victorian, a normal craftsman turned into a turreted tribute to the Victorian era. The paint is striking, the garden is beautifully maintained. The turret has the latin phrase Quo Amplius Eo Amplius which roughly translates to more is more. And you can tell the house was designed with this motto in mind, the sunflowers, the little balcony, the porch, we just can't..this house is TOO amazing. Want to see what it looks like behind the door? Take a tour of the inside.